These modalities are used to increase mobility in restricted areas of musculoskeletal function, reduce pain, and create an efficient functional state, thereby enhancing the body’s capacity to heal. These techniques are then complemented by muscle balancing (stretching and strengthening), neuromuscular re-education, spinal stabilization training, and sport specific training. One of the strongest therapeutic tools is patient education. The therapists at Body In Balance should be dedicated to educating patients about their condition, treatment strategies, and goals, and how they can best take an active role in maximizing and maintaining treatment gains. 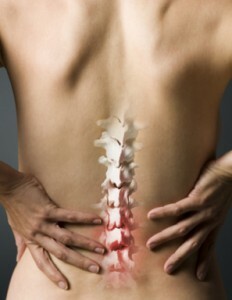 Many times, low back pain can be helped by exercise and keeping good posture while sitting, standing, and sleeping. You can also learn ways to protect your back when bending, lifting, and exercising. People who are overweight might lessen low back pain by losing weight. At Body In Balance, we also provide fitness programs, classes and certified trainers for all your wellness needs. Visit our Fitness page for more information.